Shippers have called on world governments to back away from trade wars that threaten the global economy. But despite the current protectionist tendencies, a report out today shows that the outlook for world trade continues to improve. 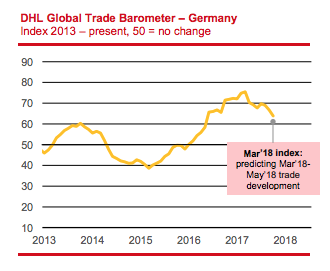 DHL’s global trade barometer increased to 66 points in March from 64 points in January and is gaining momentum. Global air trade has dropped slightly, but remains very positive at 70, while ocean trade rose to 63 points from 60. However, despite this confidence, at its general assembly in Hong Kong this week, the Global Shippers’ Alliance (GSA) urged world leaders to solve disputes on import tariffs and cut red tape. It warned that trade wars would harm the global economy and would spread across countries and regions. The GSA said: “Pre-war international trade went down 25% between 1929 and 1932. Protectionist measures deepened and prolonged this crisis. “Presently, 40% of GDP depends on cross-border flows. This was 53% in 2007. This so-called de-globalisation is at least partly the result of protectionist measures. It added that extra costs in the form of higher duties, quotas or non-tariff measures reduced the volume of trade between countries and had a negative effect on welfare. 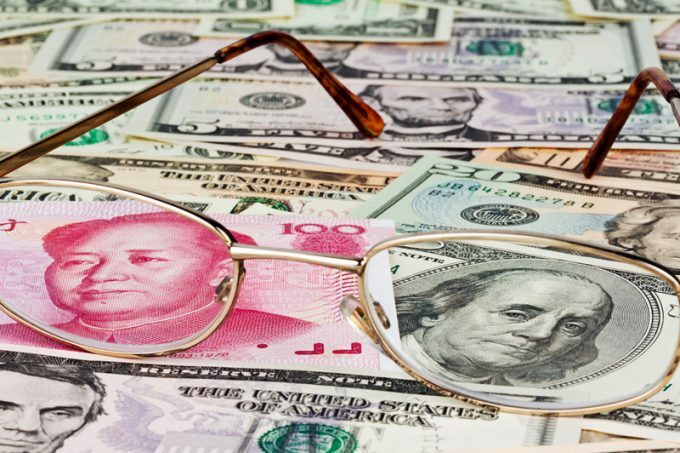 The World Economic Forum published an article on trade wars this month, which points out that many of the recent actions by the US break WTO rules. It also noted: “We all suffer from trade wars. Manufacturers in producing countries lose output, profits and jobs. 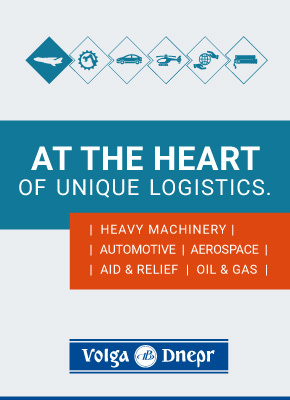 Ancillary traders and services like shippers, financiers, insurers and importers lose turnover. “Consumers in importing countries face reduced availability of goods, and higher prices. Governments suffer loss of revenue because of reduced trade volumes. 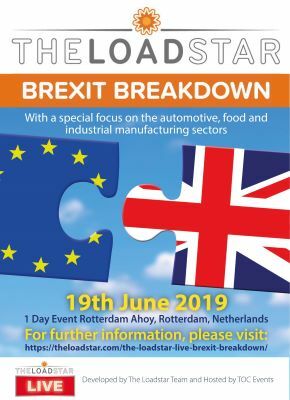 “When, in the 1930s, major industrialised countries tried to protect their domestic industries through aggressive use of import tariffs or other trade restrictions, the result was a drop of around half in the volume of world trade, which contributed to mass unemployment and impoverishment. However, while B2B companies have concerns over protectionism, some believe ecommerce could be less affected. She did, however, acknowledge that price was a key factor – but added that availability of choices would continue to drive e-commerce, regardless of tariffs. 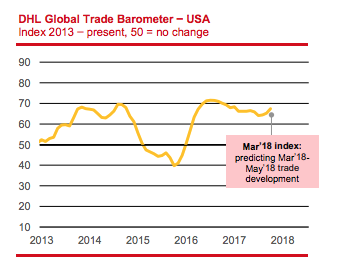 The global trade barometer, created in partnership with Accenture, notes that two of the current potential protagonists of new trade wars, the US and China, are both experiencing growth. China, meanwhile, can expect moderate trade growth, as the index rose two points to 61. The growth will be driven by strong air trade, particularly in machinery parts and consumer goods, while ocean trade also remains positive, fuelled by industrial raw machinery. Interestingly, the recent doyenne of trade, Germany, looks to be facing some slight headwinds. Last year, it accounted for 32% of western Europe’s air cargo growth. But the global trade barometer recorded a three-point fall to 64, with air trade dropping significantly, by six points, mainly owing to a deterioration in air imports. Ocean trade dropped only slightly. 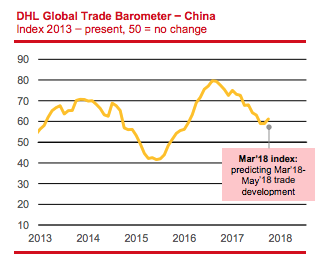 You can see the Global Trade Barometer here.